With the passing of the Winter Solstice on December 21st, days are starting to get longer again; but there is still some time to go before we’ll feel the heat. To shake off winter’s chill we recommend an afternoon toasting in front of a warm fireplace. Monterey’s charming Inns and Hotels are filled with cozy fireplaces, and perhaps those best-loved are the ones at the Spindrift Inn – they still use real wood, so the crackle and scent are perfect lures to relaxation. Grab a book, hot cup of cocoa or glass of wine, your loved one and… cuddle up! 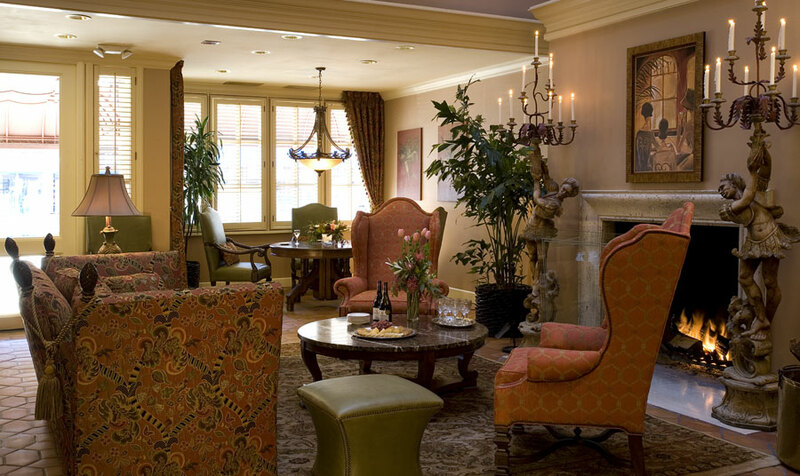 These fireplaces really are perfect, and we’re not the only ones who think so; the Monterey County Convention & Visitor’s Bureau listed the Spindrift Inn as Monterey’s romantic “View for Two” in its survey of great fireplaces of the Monterey Peninsula. Call (or click) and reserve one of your own today.